While completing his undergrad at Western Michigan University in 1997, Philip Sullivan found his true passion for crafting beer after a fraternity brother invited him to homebrew. And, yes, WMU is in Kalamazoo, Michigan the home to one of the most successful microbreweries in the country: Bell’s. It was his instant love for the craft of brewing along with the inspirational backdrop of one of the most successful micro-breweries in the country that carved this path for Phil and he quickly went from rookie extract brewing to all-grain brewing in 1998. And this wasn’t without failure. The first all grain batch he brewed was a Pale Ale that was proudly fermented in a glass carboy with a racking cane attached as the blow off tube. However, the fermentation was so vigorous the tube clogged causing the rubber bung to blow off and 3 gallons of sticky wort covering his college apartment basement. With all the labor that goes into all-grain brewing and this being his first experience, most would stop from continuing such a rigorous and sometimes messy hobby, but instead made Phil more determined to master the art of homebrewing. Within a year of his switch to the rigors and precision needed to brew all-grain, Phil captured his first competition award taking 2nd place at Copper Canyon Brewery in Southfield, Michigan for his German Hefeweizen labeled: Hemi Wheat. Sully graduated from WMU and moved back to Metro Detroit to work full-time with his father in their family business, but continued his brewing. In 2003, he became a Recognized Beer Judge after taking the Beer Judge Certification Program (BJCP) test and started entering competitions all over the US. As his study of crafting beer continued and his skills matured and palate grew stronger, along with the constant tweaking of his basement beer system, it was in 2006 when he began to win competitions. Though he had a full-time career, this was the push he needed and Sully was determined to master his craft and immersed himself in the brewing world whenever finding free time. Growing more confident, Sully was soon ready to retake the BJCP and advanced to a Certified Beer Judge showcasing his in-depth knowledge of beer. And in 2009 his experience gained momentum and is when the beer world took notice after his Kolsch took Best Of Show in several competitions. And shortly following, Sully took home gold at the 2010 National Homebrew Competition with his Belgian Blonde Ale that earned him every homebrewer’s dream of being featured in Zymurgy Magazine. From this win, he was then invited to enter the 2011 US Open Beer Championship, homebrewers vs. professional brewers, where he took bronze. In 2011, Sully won the coveted Rex Halfpenny award after taking the most awards at the Michigan Beer Cup. 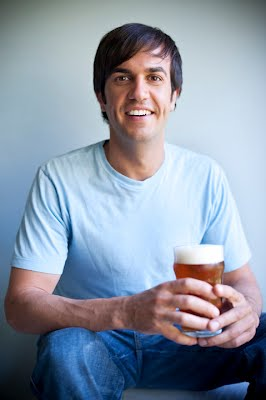 This led him to closing out 2011 winning the title Midwest Home brewer of the Year. Having crafted 18 of the 28 unique BJCP guide lines (13 gold, 3 silver and 2 bronze) sweeping 12 states, 15 competitions and thousands of entries. Though Sully has won almost every award you can possibly win as a homebrewer, this isn’t the last you’ll hear of him. He has plans to take his hobby and make it into a business – stay tuned! 2010 Great American Beer Festival Pro-Am Competition – was invited to the competition for his Belgian Blonde Ale, but didn’t place. He designed a two-tiered setup with two 15 gallon pots and a 10 gallon pot, brewing 10 gallon batches. He uses a march pump to transfer the wort to his temperature regulated 14-gallon conical fermenter.